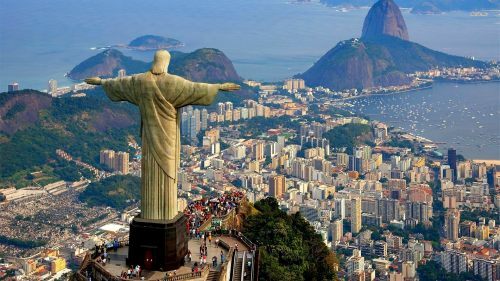 United Airlines and Delta are showing flights from Vancouver to Rio de Janeiro, Brazil for $652 CAD roundtrip including taxes. This is a new record for the cheapest flights from Vancouver to Rio de Janeiro. The $652 CAD flights are in April and May 2016. 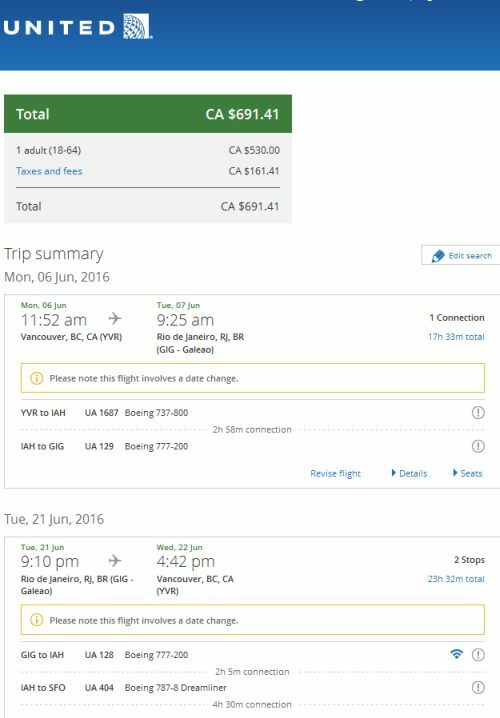 But what might be even more interesting is that June 2016 flights have dropped to $692 CAD roundtrip. This is interesting because Brazil is waiving the visa requirement for tourists visiting between June 1 and September 18, 2016, due to the Summer Olympics. The United Airlines flights have a much lower travel time than the Delta flights. I know, I know, it's gotta be the Zika scare, right? That certainly can't help prices, although it should be noted that there's been some unusually low fares to Brazil since the summer of 2015, well before the media latched on to the Zika story. 2. Once you've found your dates on Google Flights, try searching for the same dates on Kayak and then clicking through to the United website for booking. I would use a flexible date search when you get to Kayak. I've been seeing currency issues when going from Kayak to the United website. Sometimes the price seems to come up in $USD instead of $CAD. Once your dates are narrowed down you may want to try going to www.United.ca directly and searching there. These are also showing up on FlightNetwork.com (which has price drop protection) and ITravel2000.com - although it seems like on some dates, only the Delta flights are showing up. You can also try a multi-city flight search, flying into Rio de Janeiro (GIG) and back home out of Sao Paulo (SAO). The price of the flight may work out to about the same as a roundtrip flight. vancouver, yvr, flight deals, delta, south america, united airlines, brazil, gig, rio de janeiro and rio.